- Polcons Wet Scrubber type PBWS is an excellent equipment of the type for high inlet dust concentration. Dust concentration of even above 20gm/m3 can be handled by this collector. >95%Inlet gas speed17-23m/sGas temperature50-80Resistance<1200PaLiquid gas ratio2.5-4.0L/m³Nozzle meterialcarbon steel/PP/PVCMaterial InsidegranitePackaging & DeliveryPackaging Details1. If the device is seperately transported, regular case would be used. To furnish the diverse requirements of our clients in the best possible manner we are involved in offering an extensive range of PACKED BED WET SCRUBBER. 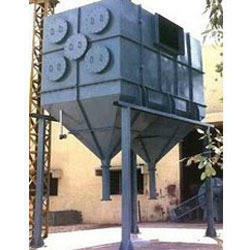 SITSON has developed Wet Scrubbers for boiler / mini blast furnaces and different chemical gaseous scrubbing application. SITSON has supplied wet scrubber for Bagasse fired boiler and gaseous scrubbing systems are under proposal engineering stage. SITSON is having about 2 installations are running and 2 under execution. Supported ourselves with proficient amenities, we are readily instrumental in providing an inclusive variety of Wet Scrubber. We bring forth our clients a range of Wet Scrubbers that is used in controlling and curbing toxic fumes from the various industrial processes. Manufactured using excellent quality raw material, these products are available at market leading prices. Moreover, these products are defined by industry norms and standards. Our organization is well known in the market for providing a broad assortment of Wet Scrubber to our clients. Scrubber is a maintenance free unit, complete with integral wet fan, achieving high efficiency with medium pressure drop in applications involving heavy dust loads, and abrasive materials. 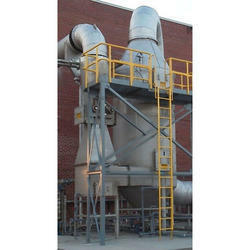 Scrubbers for various apllications in Power Plants , Manufacturing, Food , chemical , pharma etc. Some applications include - Flue Gas Treatment for Boilers , Incinerators , Chemical Gases , Hazardous Dust like Aluminium Buffing , etc..